• First off – for the newcomer who hasn’t heard of Audiotree, how would you describe who you are and what you do? What makes Audiotree unique? Audiotree is a discovery platform for artists and bands. We shoot/edit live video and record/mix/master live audio for artists and bands that don’t have the resources to do so on their own. What makes Audiotree unique would be that we monetize the content and split the money collected with the artists. • How did you originally get started with Audiotree and doing their recording sessions? R: Audiotree was started by Michael Johnston and Adam Thurston. I met them early on while they were still figuring out all the details of what the company wanted to be, we had a discussion/meeting about recording bands live and putting the content up for sale. I mentioned to Michael and Adam that I had been doing some live in-studio broadcasts for a local radio station, and the results were pretty good and that maybe we should approach the live recordings in a studio environment. They loved the idea, and started booking bands… We did our first session on Sept. 22, 2010 and we are now over 900 sessions recorded. B: In 2012 I moved to Chicago from Jacksonville, FL to further pursue a career in music. 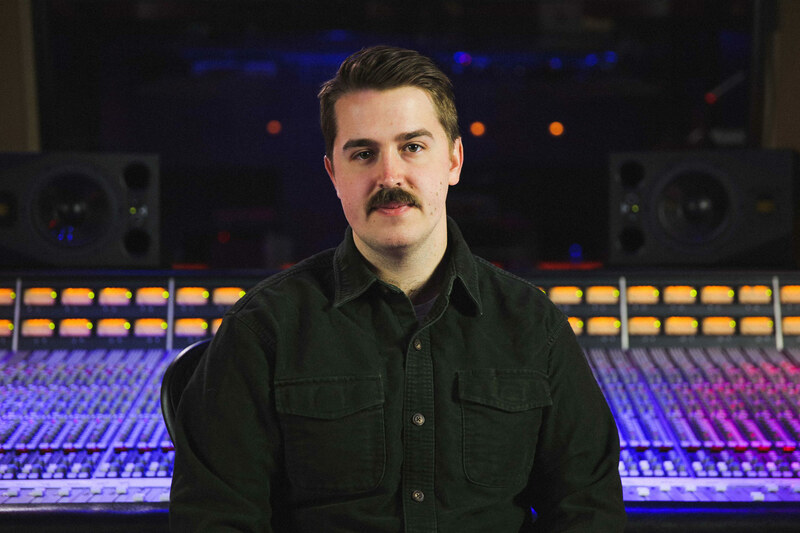 I worked as a freelance engineer in a few studios around the city for awhile and fell in love with what Audiotree was doing. 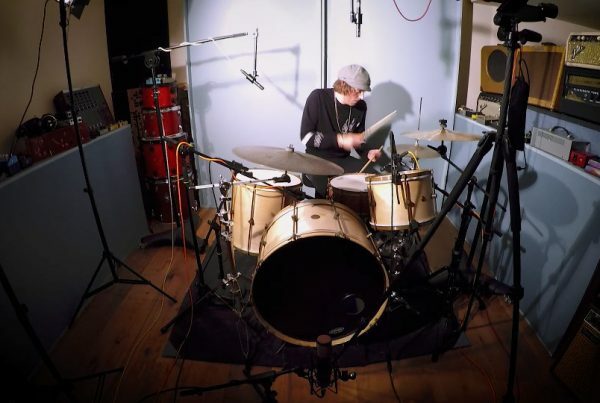 The process in which bands are recorded, mixed and mastered all in real time as a document of a musical event in a specific environment drew me in. It reminded me of the process and production style put into some of my favorite records from the past. 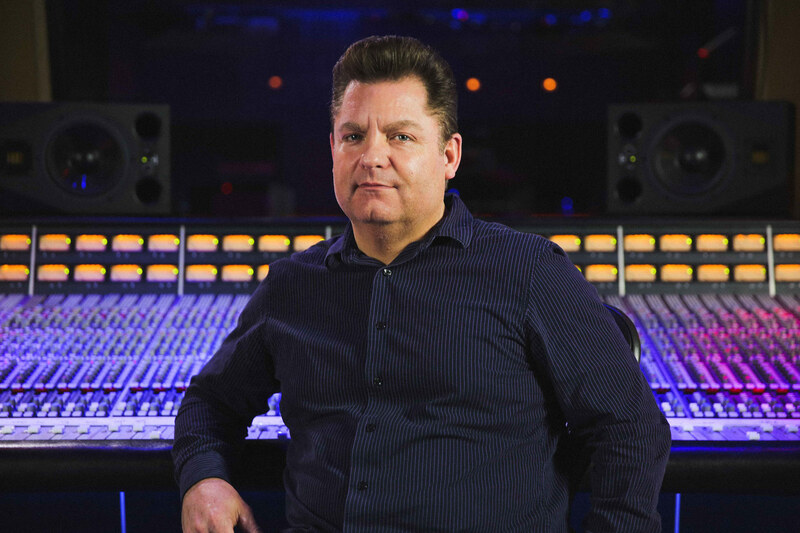 It’s a very active process requiring an understanding of what a band is putting forth and understanding how to guide the listener to perceive and understand that message the artist is presenting, in real time. They were kind enough to bring me on as an intern for awhile and then I started filling in and doing sessions when I was needed or when the studio was free until I started showing up 40-50 hours a week, every week haha. At that point they brought me on as a full-time engineer. • What drew you to Antelope Audio gear? 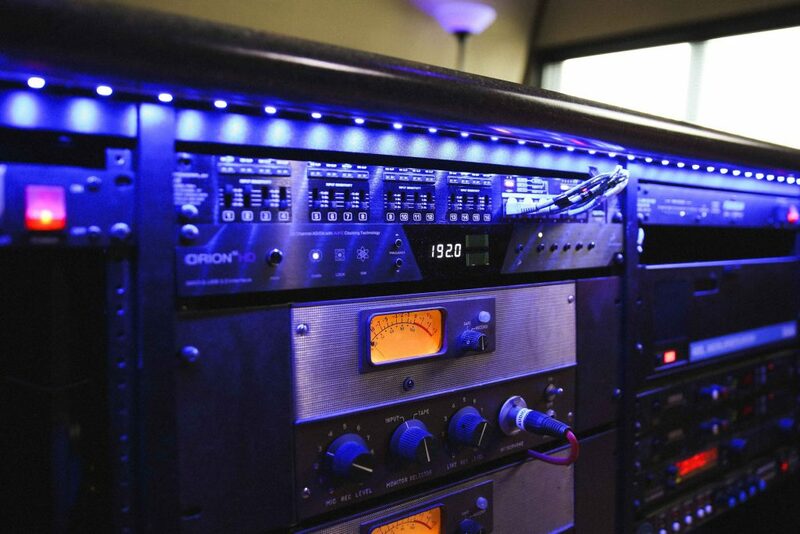 Which Antelope products are currently a part of your recording system? R: Brok and I, were really unhappy with our live remote rig, it was not able to save any automation rides and the interfaces were terrible converters. Brok had bought an Orion Studio, and was really happy with the quality he was able to capture with it. I’ve always heard of the great quality associated with Antelope. We really wanted to design a solid system that was going to based around a Protools HDX system, that could be remote controlled from a distance, and also powerful enough to do the recording/mixing/mastering all live and have all the automation/settings saved with the session. The current parts of our system are 3x-HD32 interfaces and 2x-MP32’s, we are looking to get one more HD32 for the studio side of our system. B: I had a friend that owned one of the first models of the Orion Studio and swore by it. I was looking for something mobile and professional and it seemed like the best thing around at the time. I felt limited by my equipment at the time and was so stoked to get something that made my abilities the deciding factor in the work I was doing, not the equipment. From there we created 2 systems, 1 completely mobile in a 14U rack on wheels for mobile recording and broadcasts, and 1 in our studio rack interfacing between our SSL E/G 4048 console and Protools. In the mobile rack we have our studio computer, Radial microphone splitters, 2 Antelope Orion HD32’s and 2 Antelope MP32’s. This gives us 64 channels of remote controllable microphone preamps and I/O to record, mix, master and broadcast audio from anywhere. 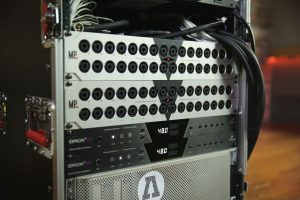 When doing remote broadcasts or recordings we just disconnect HDX cables from our studio Antelope Orion HD32 (connected to our SSL) and connect the 2 Antelope Orion HD32’s (connected to our MP32’s) to the HDX card in the computer and roll the rack out the door. • How has your experience been with your Antelope gear so far? Ease of use? Sound quality? Reliability? Any favorite features? R: The Antelope gear we have has been a dream to use. We have never had any issues with any of it. The sound quality is superior to anything else. We control the Protools & Antelope unit’s via a Slate Digital MTi Raven, connected via an ethernet extension system that passes HDMI and USB. B: The ease at which we can integrate with any FOH system for live recordings/broadcasts, the stability of the software and the power we can get anywhere (64 channels of clean and clear remotable controllable preamps and conversion) make recording and mixing on the fly a joy. Before we had to try and undo or mask artifacts left by other preamps and converters, now we have a more pure representation of what the microphones are actually “hearing” and the ability to turn that into an accurate representation of what the band is putting forth. This is kind of the heart of what we are doing at Audiotree, instead of forcing the band’s performance into something they aren’t, understanding what they are putting forth, getting out of the way and serving it up the way it is intended to be. 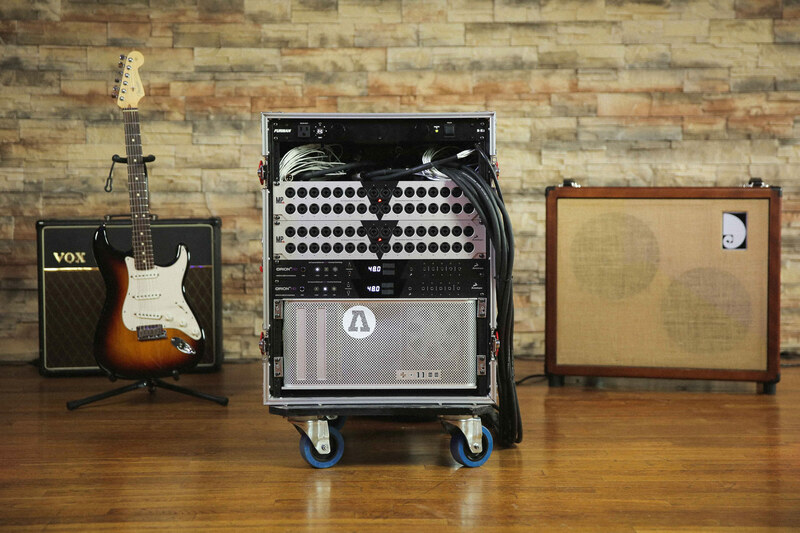 The Antelope gear allows us to do this genuinely. • How many sessions have you done using your current Antelope rig so far? Can you recommend a few personal favorite sessions/videos that were done using Antelope? So far we’ve done over 100-Audiotree Live sessions, multi day festivals, and Live from Lincoln Hall broadcasts with this system! 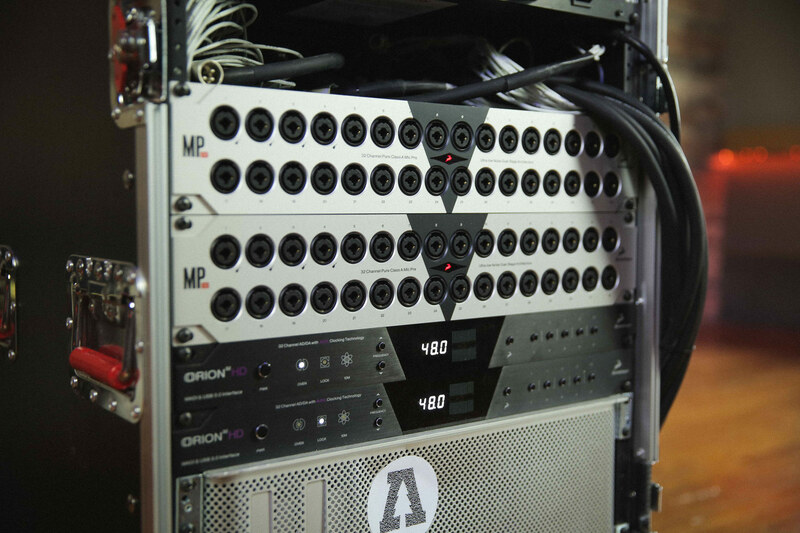 In addition to our broadcasts, we’ve done several albums and EPs with the new Antelope system. • Any plans to expand beyond your current system in the future? Yes, we are looking to get another Orion HD32 to expand our connectivity to our SSL in the studio. • Can you share any particular funny/interesting/embarrassing story from an Audiotree session? Maybe a time things went completely wrong, or unexpectedly right? R: Brok and I tend to clown around during the final minutes before the countdown into the broadcast to ease the tension that can happen when the four videographers go in the room and setup. Our other silly thing is when we are soundchecking the vocal mics, we always ask the person, what would be their favorite breakfast if they could have it… That gets them to talk/chat for sure! B: I tried to change up the breakfast question a few times and tried “Have you ever been to Disney World before?” and literally every time I asked that the band would just freeze and not say a word as we are trying to get sounds for their vocals. It’s the question I ask now if I’m trying to sabotage Rick as he is soundchecking vocals. • Where can people check out more Audiotree content, and stay in touch with what you guys are doing? We have a website Audiotree.tv, Youtube channel, Spotify playlists to listen to. What is Moonwerk’s favorite thing about the Orion32?